A new art project chronicling communist persecution is set to launch in Albania. Kosovo-born activist Alketa Xhafa will tour the country with her project, Even Walls Have Ears. The artist will collect first-hand recollections from those persecuted under Enver Hoxha's regime. 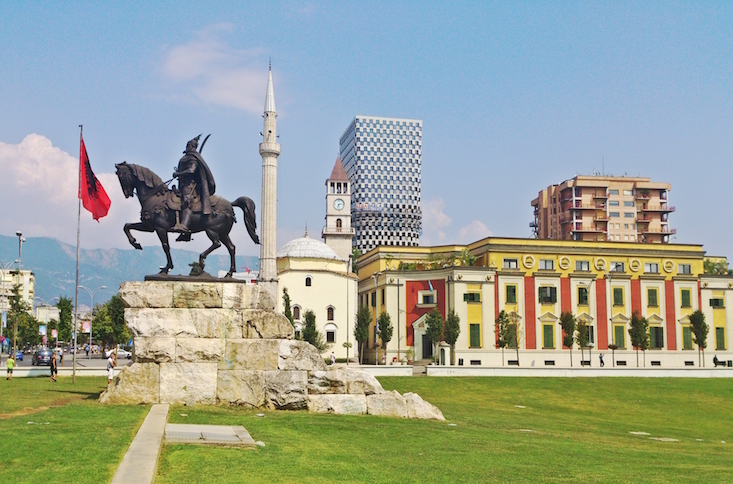 Their quotes will be projected onto iconic Albanian landmarks — transforming each wall from a defensive shield to a platform of memory and healing. Xhafa hopes that the exhibition will provoke new dialogue on a traumatic chapter of Albanian history. Between 5,000 and 25,000 political dissidents were killed under Hoxha‘s rule, while thousands more were imprisoned in labour camps. Even Walls Have Ears will be exhibited at the National History Museum in Tirana in spring 2018.